Started in 1974, the department offers undergraduate, post-graduate, M.Phil and Ph.D. research programmes. Apart from the main department, P.G. course in Economics is also offered at P.G. Colleges of Subedari, Karimnagar and Khammam. A large number of the faculty have major research projects to their credit.The thrust areas of research are Agricultural Economics, Labour Economics, Rural Development, Tribal Studies. Women’s Studies and Environmental Issues. About 90 Ph.Ds and 150 M.Phil dissertations have been guided by the faculty so far. The Department was recognized by the UGC under the Special Assistant Programme (SAP - DRS) in 2004 and it is being implemented very effectively. During the X Plan, the Department was also sanctioned a research centre called Telangana Study Centre. Recently, the Department was sanctioned a Research Project on “Gandhian Approach and Rural Development” by the National Council of Rural Institutes, Ministry of Human Resource Development, Govt. of India, New Delhi. Under this project, the Department is organizing Programmes to propagate the Gandhian ideology. The Department completed 25 Research Projects sponsored by various funding agencies viz., UGC, ICSSR, Planning Commission and Govt. 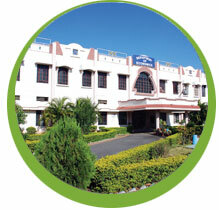 of Andhra Pradesh and currently 6 major research projects from UGC and other agencies are in progress.